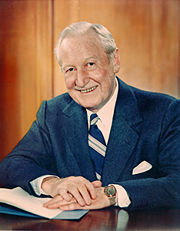 Eaton Rapids is named after the youngest member ever to join the U.S. Senate, John Henry Eaton. Although the Constitution requires members to be at least 30, he joined at the age of 28. 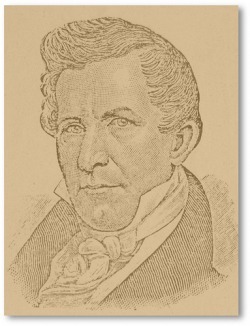 Eaton Rapids was founded in 1838 by Amos and Pierpoint Spicer, Samuel Hamlin, C. C. Darling. It became a city in 1881. Dams. Lots of dams and bridges! Eaton Rapids is known as the Island City--the downtown area is completely surrounded by water, which makes traveling through it a bit tricky at times when Main Street is closed for construction. 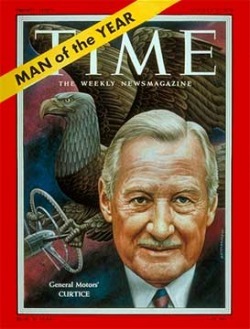 He went on to become President of General Motors in 1953, and in 1955 was selected as Time Magazine's Man of the Year. JACKSON, Mich., Nov. 30. -- Gift of a 472-acre farm near Eaton Rapids, 23 miles north of this city, was accepted by a committee of the Veterans of Foreign Wars of the United States, who inspected the farm yesterday. The donation was made by Corey J. Spencer and his wife, of Jackson, and the farm will be used as a home for widows and orphans of veterans of the wars of this country.